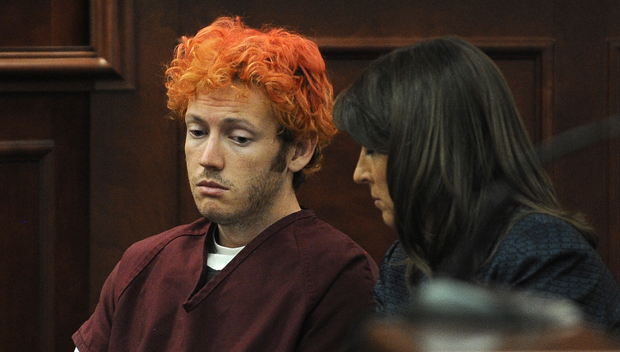 Al Gini argues that criminals like accused Colorado shooter James Holmes are beyond society’s forgiveness. But what about other wrong-doers? On February 27, 1993, 14-year-old Greg Ousley went into his parents’ bedroom at 11:30 p.m. and shot them point blank with a 12-gague shotgun. He then called the police and said that he had just come home and found them murdered. It didn’t take the sheriff’s office in Warsaw, Ind., long to poke holes in his story. Ousley confessed and explained himself by saying: “They don’t seem to understand me….I’ve been thinking about killing them every time I get mad.” Because Ousley admitted to planning the murder, the state tried him as an adult and sentenced him to 60 years in prison. “I’m a 35-year-old-man and I’m different now,” he said. That seems to be the case. While in prison, Ousley has done everything possible to change himself. He finished high school, graduated with honors for college, took years of anger management and self-improvement classes. He has worked in the warden’s office and is trusted by the prison staff. The bottom line seems clear: Greg Ousley is not the same person that he was. He has paid a stiff penalty. He wants to help other kids avoid the anger and confusion that drove him to commit murder. Now, he wants to be free. He feels he has redeemed himself and that he should be forgiven. I for one think he’s right. But can we, as a society, ever forgive the behavior of such individuals as sexual predator Jerry Sandusky, the Batman terrorist James Holmes (12 people killed and 58 wounded) or the Norwegian white supremacist Anders Behring Breivik (77 dead and 319 wounded)? I don’t think so. Given the immensity of their actions, I think forgiveness is asking too much. Beyond forgiveness and redemption, what we need to do as a society is try to understand the motivations behind their behavior. Truman Capote, author of In Cold Blood, argued that to simply execute murderers or to put them away forever gains us nothing as a society. We need to study these people. And perhaps, said Capote, after years of studying different madmen and murderers we might come up with some answers. Unlike Greg Ousley, there is nothing that Sandusky, Holmes or Breivik can do to reinvent themselves as human beings. Their actions are beyond redemption. But we must learn from them, so that in the future we can try and stop the behavior of others like them.